The online etymology dictionary credits jazz sax player Lester Young with coining the use of “cool” as an adjective to describe jazz, which helped give rise to the now oft-used descriptor. Young used to flash his sax chops in Washington, DC—sometimes at Olivia Davis’ Patio Lounge. Unlike that jazz venue, which is now the site of a Macy’s, Cap City has kept a slew of other worthwhile retreats still swirling with jazzy notes and the smell of strong drinks. Here’s a few to bank for the next time you’re in need. This venue, which sits below the hustle and bustle of the restaurant that shares its name, is known for hosting a wide range of artists, from funk to country and everything in between. 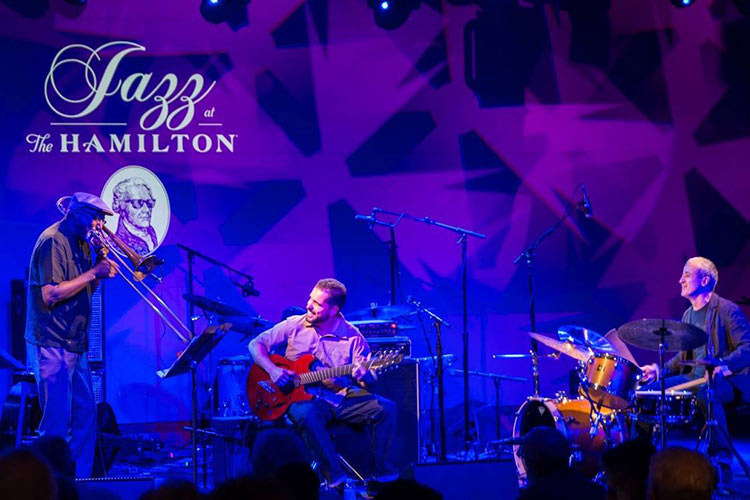 Each June during the DC Jazz Festival, you’ll find that The Hamilton Live transforms into a jazz mecca. The smooth sounds of Grammy winners, big brass bands and genre trendsetters all come together for an experience you won’t soon forget. 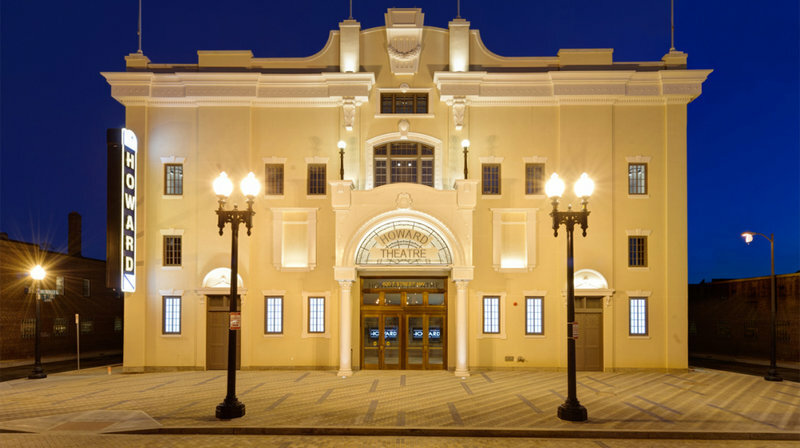 Added to the National Register of Historic Places in 1993, the Lincoln Theatre was at the center of American black culture prior to the Harlem Renaissance, staging acts like Billie Holiday, Ella Fitzgerald and native son, Duke Ellington. Today, the venue hosts nationally acclaimed artists covering a wide range of genres. It’s hard to believe this Franklin D. Roosevelt favorite, which opened in 1910, was shuttered for more than three decades before reopening in 2012. Today, you’ll find hip crowds on hand to experience an eclectic array of performers, from jam bands and R&B crooners to blues and pop performers. Don’t miss the soul food-serving gospel brunch every first Sunday of the month. 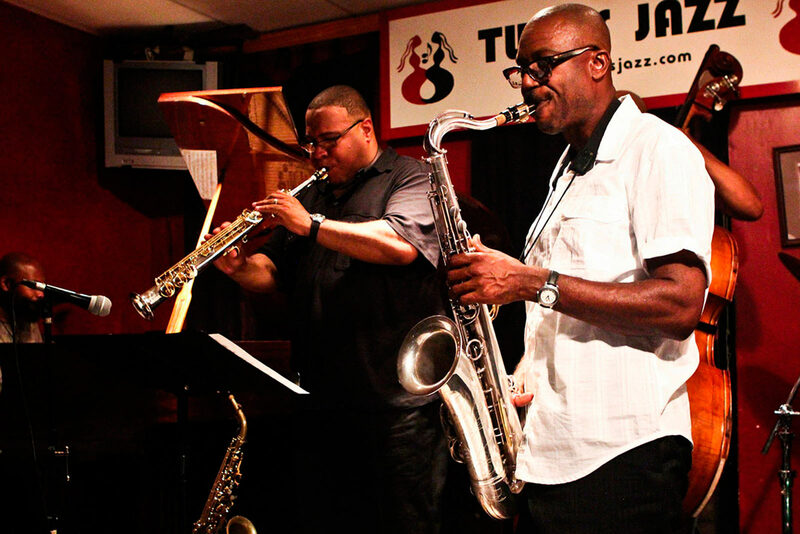 Travel around the world without leaving U Street at Twins Jazz Club, which combines traditional jazz with an international menu featuring Caribbean and Ethiopian fare. You’ll want to bring someone to cozy up with at this acclaimed venue – its dining room typically seats 65 music lovers. The nation’s oldest continually operating jazz supper club, Blues Alley is Georgetown's laid-back, late-night sanctuary. Revel in an ambience reminiscent of the dawn of the Jazz Age every day of the week. There’s always something to see – and someone you’ll want to hear – inside this converted eighteenth century carriage house. Now that you’ve perused DC’s finest jazz venues, it’s time to explore its myriad music options. Check out the grooves that the nation’s capital has to offer.